Reversing his stance in three previous rulings, Attorney General and gubernatorial candidate Greg Abbott on Thursday ruled that the state prison system can withhold information about the suppliers of drugs used in lethal injections. In a reversal of his previous rulings, Texas Attorney General Greg Abbott on Thursday decided that the Texas prison system can keep secret from the public information about pharmacies that provide execution drugs. The ruling cited an assessment by the state Department of Public Safety that determined drug suppliers could be subject to “real harm." In an interview with The Texas Tribune, DPS Director Steve McCraw confirmed Thursday that his agency has investigated threats made to pharmacies about lethal drugs provided to the state prison system’s execution. Abbott, in his ruling, said that the DPS “threat assessment” was the proof needed to keep private information about suppliers of lethal drugs used by the Texas Department of Criminal Justice. The ruling allowing secrecy is noteworthy because it was made in the midst of Abbott's campaign for Texas governor against Democratic Sen. Wendy Davis and because in three prior rulings, Abbott has ruled for transparency when it comes to execution information. 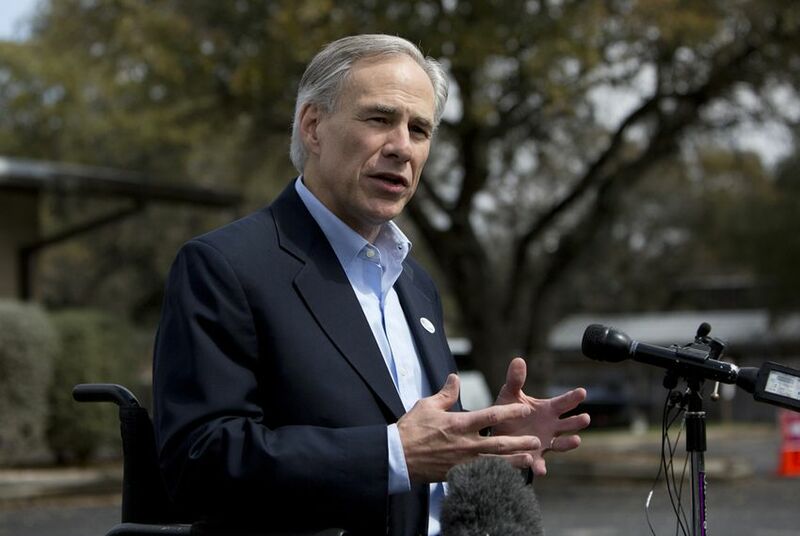 Calls to Abbott's state office and his campaign office were not immediately returned Thursday. In 2012, Abbott's office told TDCJ it could not keep lethal drug information secret because it had not proven that revealing such information would result in harm. "You also allege there would be a substantial threat of physical harm to the companies at issue because previously known suppliers have been subject to harassment," the 2012 ruling stated. "While we acknowledge the department's concerns, we find you have not established disclosure of the information at issue would create a substantial threat of physical harm to any individual." In Thursday's ruling, Abbott wrote that based on the DPS assessment and his agency's review, "we find the department must withhold the identifying information of the pharmacy and pharmacist." McCraw declined to say how many threats had been made to pharmacies, how many were investigated or whether they were credible. “I’m not going to get into that discussion with you,” McCraw said. There were no details about the threats. Last October, TDCJ reported that the Woodlands Compounding Pharmacy sold it pentobarbital, the drug prison officials use in executions. Two days later, the pharmacy demanded the drugs be returned because they had been promised secrecy by the state. Owner Jasper Lovoi told reporters at the time that he had endured threats once TDCJ revealed that his company was the supplier. “It is our assessment that publicly linking a pharmacy or other drug supplier to the production of controlled substances to be used in executions presents a substantial threat of physical harm to the pharmacy, other drug supplier (sic) and its personnel and should be avoided to the greatest extent possible,” McCraw wrote in his letter to Livingston. Defense attorneys and the media have been asking the Texas prison system for more information about sterile compounding pharmacies and the execution drugs they provide. TDCJ has turned to the compounding pharmacies, which can mix certain drugs on site, after European manufacturers of the drugs stopped supplying them to states that would use the pentobarbital in executions. The drugs that compounding pharmacies mix are not approved by the federal Food and Drug Administration. Defense attorneys argue that information about the drugs used in executions, the way they are made and whether they are safe to use in executions, if kept secret, violates a prisoner’s constitutional right to be free of cruel and unusual punishment. “Serious questions surround this about-face, including why our Attorney General, who once championed transparency, is suddenly now supporting secretive government practices,” Maurie Levin, an attorney for death row inmates, said in a statement. McCraw's statement and letter seems to contradict an Associated Press report last April that found scant evidence of threats to Texas pharmacies. The AP reported then that spokesmen for the TDCJ and Abbott's office would not answer questions about whether they were investigating any threats to Woodlands Compounding Pharmacy. In that same story, a DPS spokesman said he could not confirm that the agency was investigating threats to the pharmacy. Abbott's ruling also comes a week after liberal watchdog group Texans for Public Justice, which tracks the influence of money in Texas politics, revealed that one of Abbott’s largest campaign contributors is J. Richard Ray, owner of Richie’s Specialty Pharmacy in Conroe, Texas. The group reported that Ray has given $350,000 to his gubernatorial campaign. However, Ray's pharmacy is not licensed as a "sterile" compounding facility, a state licensure designation required to make the kind of drugs used in an execution.